Stock Low : 406 items left. White: cotton/elastane. Mid wash: cotton/polyester/elastane/viscose. 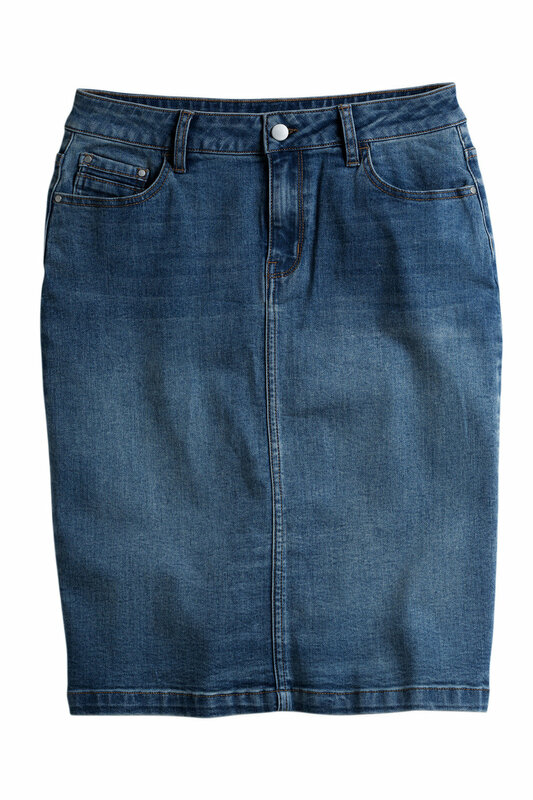 A classic of its kind that suits everyone and any casual occasion, the Capture Denim Skirt is a new summer-inspired design that creates an array of stylish outfit opportunities. It's crafted from a blend of quality fibres, meaning it's comfy, durable and easy to care for - with plenty of pockets and belt loops for functionality. This piece is perfect for pairing with almost any casual top. 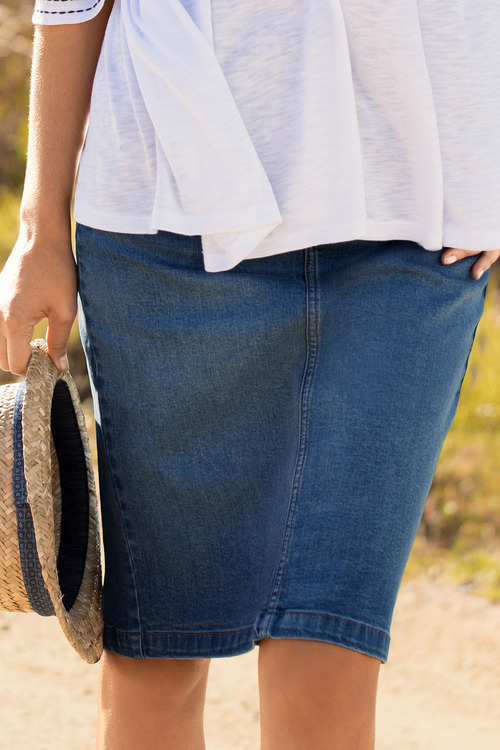 We'll be wearing ours with a floaty floral top and wedges for weekend brunches, or with a striped t-shirt and sneakers with a cross-body bag for busy days on the go.